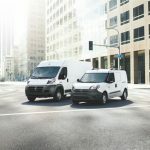 If the above quote is true and ice cream does bring people together, then is it accurate to say the Ram ProMaster City® also brings people together? We think it is. After all, because of its compact size and outstanding capability, among other features, the Ram ProMaster City is the vehicle of choice for the fine folks at Guernsey Farms Dairy, who use it to deliver their “ultra premium” ice cream to happy customers sometimes 40 cases at a time. 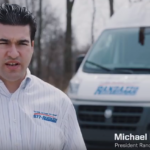 Whether you agree with our logic or not, what isn’t in dispute is just how much Joe Kinville, his colleagues and professionals like them (i.e., people employed in similar trades and businesses) depend on the built-for-work cargo vans from the Ram Trucks Brand. 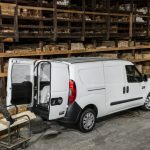 Give the video a watch to see specifically why Joe and team are fans of the ProMaster City, and then head over to your local BusinessLink dealership. 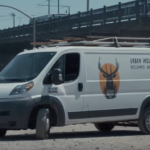 If you’re not a fan of this cargo van already, we think a test drive will quickly change things. 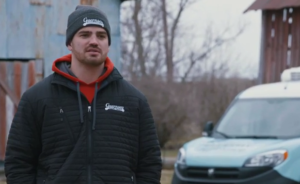 Description: When family-owned Guernsey Farms Dairy makes custom deliveries of their handcrafted ice cream to their customers, they rely on the ProMaster City to get it there.